AI or Artificial Intelligence is intelligence demonstrated by the intelligence of machines. AI certainly is useful for machine learning. However, there are a number of events which can be beneficial for your business. World AI Summit Americas will be held in Montreal this time with a deep insight into how to grow your business with AI. World AI Summit is one of the best AI events in 2019 which will be organised in Canada this year with the aim of teaching business learning with AI. 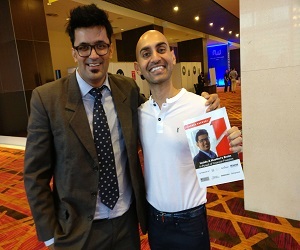 Bloggersideas is delighted to be partnering with World Summit AI Americas, an exclusive gathering of the major AI players, 1000 delegates, and 60 industry-disrupting AI brains as speakers, for two days of mind-boggling innovation, heated discussions on AI ethics and AI4good, applied solutions for enterprise, hands-on workshops, knowledge sharing, networking and entertainment.